You lift weights and workout to be strong inside and out. 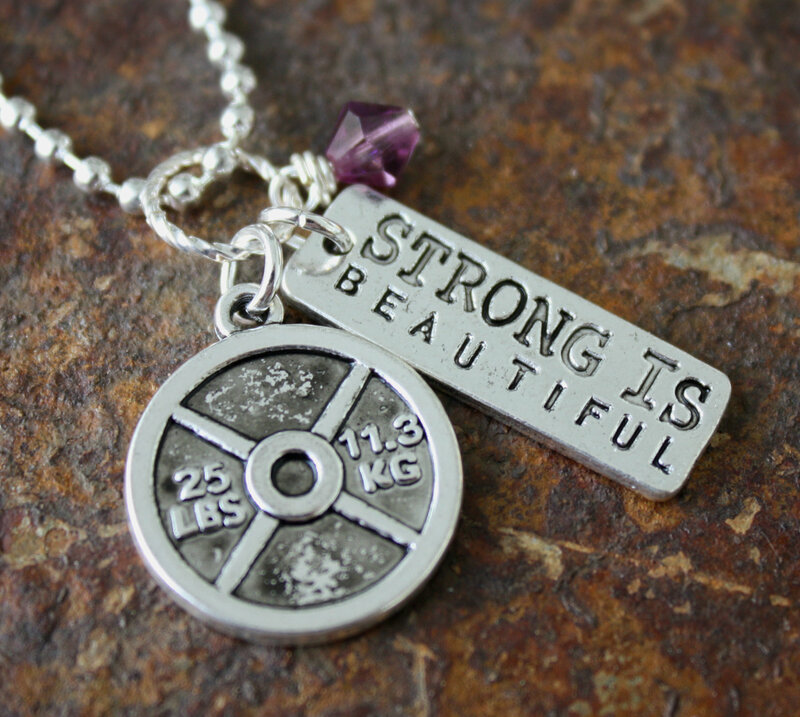 This simple necklace shows your love for being strong. 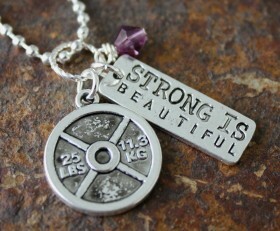 You can choose between a weight plate, dumbell and kettlebell to go with the Strong is Beautiful tag. Categories: New, Running Jewelry, Running Necklaces, Sports, Triathlon Jewelry, Working Out.